In ShopNotes No. 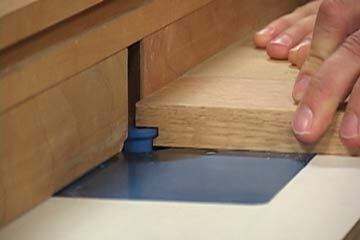 96, we showed how a drawer joint bit in your router table is a fast and easy way to make drawers in a short amount of time. The key to how this works is the bit and its unique stepped profile. What it allows you to do is cut both halves of the joint at the same bit height — all you need to do is change the fence.